SXmini T-CLASS MOD BY YIHI SXmini T-CLASS: Powered by the YiHi SX580J processor. 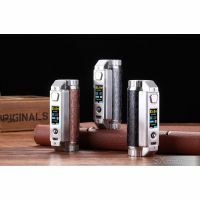 2X18650 device, maximum to 200 watts. 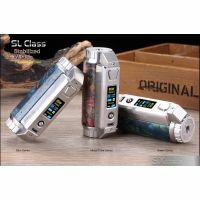 Ips TFT HD color sc..
SXmini SL Class—Stabwood version Powered by the YiHi SX485J 316 Stainless Steel +Stabilized wood TFT Color Screen Support ..
SXmini SL Class— Aluminum with Etching Powered by the YiHi SX485J 316 Stainless Steel +Aluminum with etching TFT Color Screen Suppor..
FAUCON RDTA BY YIHI A GREAT GIFT FOR CHRISTMAS AND THE NEW YEAR, WICH WAS GIVEN TO US BY THE YiHiECIGAR! ORDER NOW AND GET THIS ON HOLIDAYS! ..